Recognized industry wide for their creative talent, achievements include an I.T.S. Monitor Award for Best Sound. Pinewood also provided the sound for “Shoes Off” the Prix Canal Plus Winner at the 1999 Cannes Film Festival. Located in North America’s third largest film production center, Vancouver, BC. 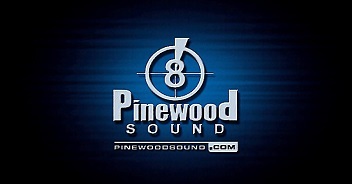 Pinewood Sound is located at North Shore Studios in North Vancouver, home of Pinewood's 5.1 digital mixing theater. Vancouver's largest (2000 sq. ft.) & most highly respected ADR stage has been host to projects such as: "Elysium", "127 Hours", "Brokeback Mountain", "Hot Tub Time Machine", "Man of Steel", “Godzilla”, “Psych”, “Kung Fu Panda 2”, “Supernatural”, “The X-Files”, “Bates Motel”, “Arrow” & “Smallville”. Including full audio post production on the William H. Macy film “Door to Door”, which was nominated for an Emmy for Best Sound. Eliminates travel concerns. The best system available for providing direct, real time, two-way transmission of Digital audio over ISDN lines worldwide. With over 40 years of experience, Pinewood is the longest established and most comprehensive audio post facility in Western Canada.